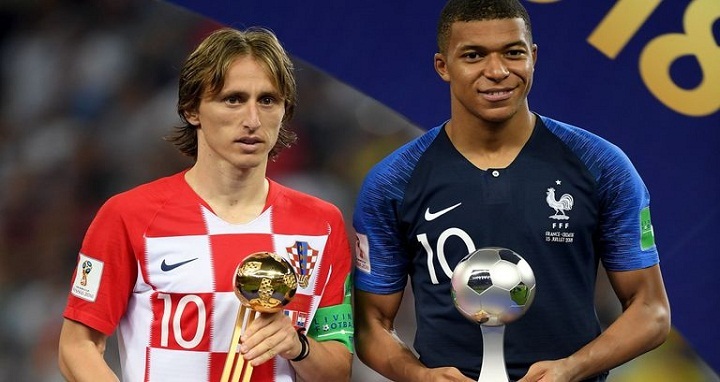 Dhaka, 28 July, Abnews: World Cup stars Kylian Mbappe and Luka Modric will lead the challenge against a decade-long dominance of FIFA’s best player award by Cristiano Ronaldo and Lionel Messi. It is completed by World Cup golden boot winner Harry Kane of England and Mohamed Salah, the Egypt forward who was inspirational in Liverpool’s run to the Champions League final. The winners announced in London on Sept. 24 are voted by national coaches and captains, plus media from FIFA’s 211 member countries, and fans voting online. Three finalists will be announced before the ceremony. The FIFA men’s panel picked five World Cup coaches among the contenders: All four semifinalists — Deschamps, Zlatko Dalic of Croatia, Roberto Martinez of Belgium, and Gareth Southgate of England — plus Russia’s Stanislav Cherchesov. In the women’s player award, French and European champion Lyon provided six of the 10 candidates. The group includes captain Wendie Renard of France, plus Dzsenifer Marozsan and Saki Kumagai, the captains of Germany and Japan. FIFA’s expert panel did not shortlist the past two award winners — Carli Lloyd of the US and Lieke Martens of the Netherlands. The male candidates include Reynald Pedros, who led Lyon to a Women’s Champions League and French league double, and Brazil’s Vadao, whose team won the Copa America Femenina.